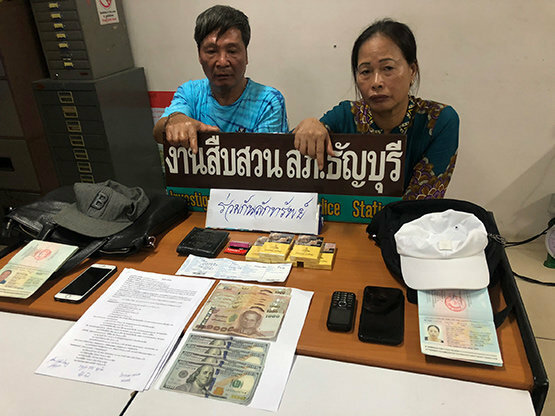 Thai police have announced the arrest of a husband and wife team of pickpockets. Plenty of evidence of their guilt was found in their room at Khao San Road. Phan Van Long, 60 and his wife Nguyen Thi Hien, 55, were caught on CCTV stealing from tourists at Snowtown. This is a snow and ice experience in the Dream World theme park north of Bangkok. Nguyen stole a bag in the confusion as people prepared to go into the attraction. She passed it on to her husband by throwing it to one side. The thieves were traced back to their room at the Four Sons Village hotel. There cops found Thai and US currency, several phones and cigarettes. Both have a previous conviction in Thailand for stealing and are believed to be part of a bigger gang of thieves.